Before following the steps below, first try restarting your web browser. 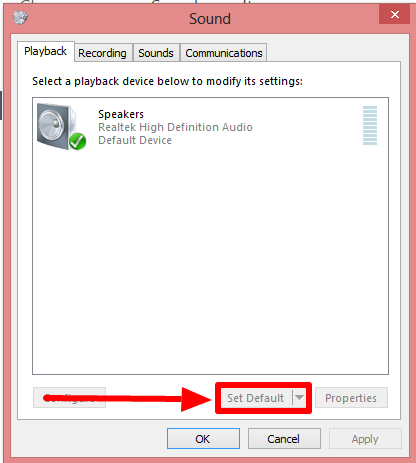 Check default audio device. 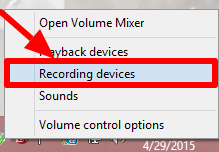 If you are not hearing sound, click on the icon of your preferred speaker device, and click "Set Default", restart Chrome, and try again. Check your default device. If it is not correct, select the correct one and press "Set Default" and try again. 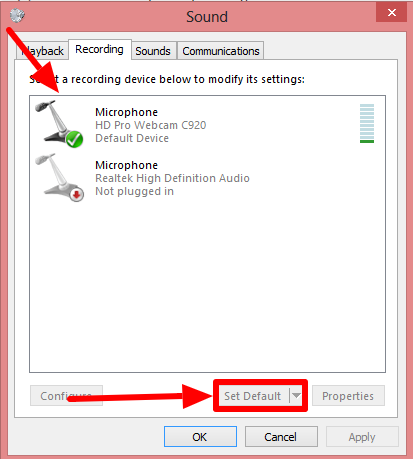 In the same panel, left click on the Microphone you have selected, and click "Properties" and ensure it is not muted.